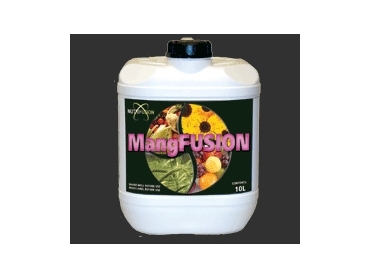 MangFusion liquid fertiliser from Nutrian Liquid Fertilisers is a highly concentrated fully water soluble liquid suspension fertiliser. It contains Manganese fused with Sulphur and complex carbohydrates and it comes in an easy-to-use form. MangFusion liquid fertiliser helps ensure maximum benefit and strong plant vigour. It is an easy to use free-flowing formulation and is compatible with a wide range of agricultural products. This unique formulation is designed to support the vegetative cycle and ensure strong growth and improved plant health and enhanced cropping. It represents a readily available Manganese source. This is essential to positive growth and vigour to achieve maximum uptake by the plant.